Starting on 12 January 1945, the Red Army reached the German front as a result of the Vistula-Oder Offensive and advanced westward as much as 40 kilometers (25 miles) a day through East Prussia, Lower Silesia, East Pomerania, and Upper Silesia, temporarily halting on a line 60km (37 miles) east of Berlin along the Oder River. When the offensive resumed, two Soviet fronts (army groups) attacked Berlin from the east and south, while a third overran German forces positioned north of Berin. 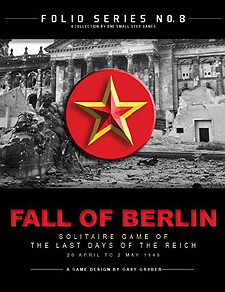 The Battle in Berlin lasted from 20 April until the morning of 2 May.